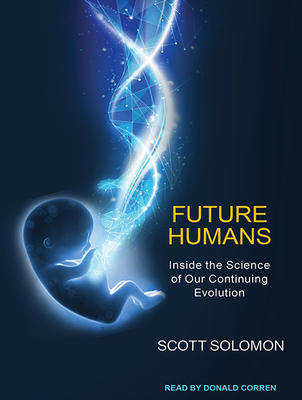 In this intriguing book, evolutionary biologist Scott Solomon draws on the explosion of discoveries in recent years to examine the future evolution of our species. Combining knowledge of our past with current trends, Solomon offers convincing evidence that evolutionary forces still affect us today. But how will modernization-including longer lifespans, changing diets, global travel, and widespread use of medicine and contraceptives-affect our evolutionary future? Solomon presents an entertaining and accessible review of the latest research on human evolution in modern times, drawing on fields from genomics to medicine and the study of our microbiome. Surprising insights, on topics ranging from the rise of online dating and Cesarean sections to the spread of diseases such as HIV and Ebola, suggest that we are entering a new phase in human evolutionary history-one that makes the future less predictable and more interesting than ever before.